THE PREMIER DAY TIME GROOVE!!!! 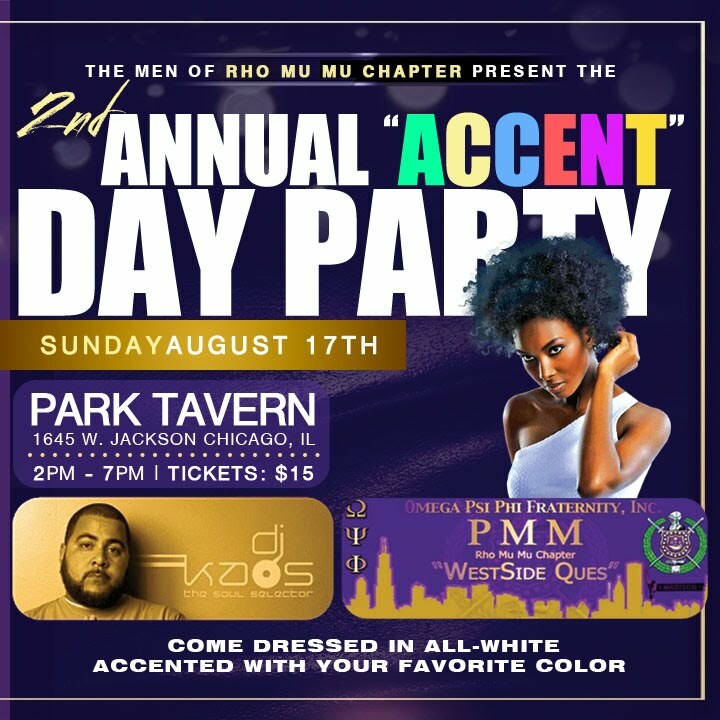 The Men of Rho Mu Mu Chapter of Omega Psi Phi Fraternity, Inc present the 2nd Annual "Accent" Day Party. Come dressed in All White Accented with the colors of your organization.